There’s something so comforting in a steaming bowl of soup. 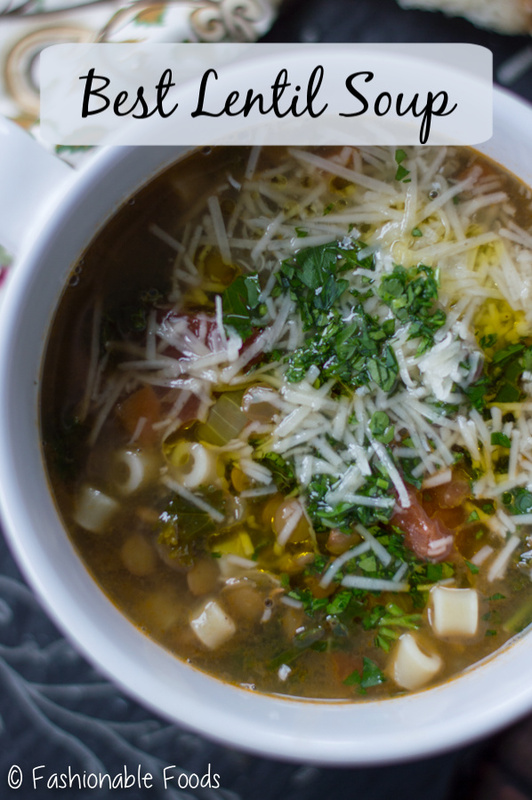 One of my winter favorites is a mix of aromatic veggies, hearty lentils, pasta, and lots of parmesan cheese. 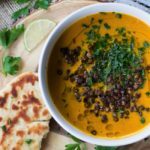 It truly is the best lentil soup! 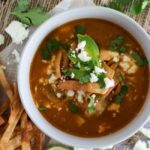 One of my favorite soups ever is lentil soup. Well, I should say my second favorite because nothing could ever top homemade chicken noodle. However, that’s a bit more labor intensive. Delicious and completely worth it? Yes. But, sometimes you just want a simple one pot wonder. 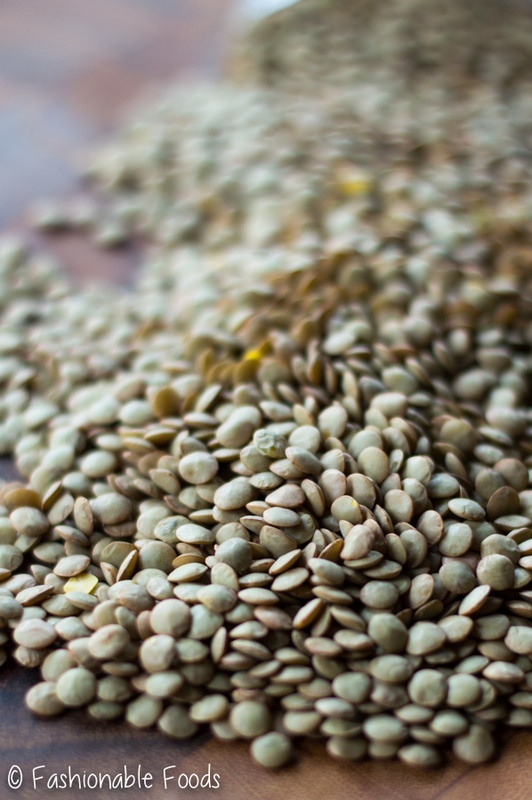 Enter the best lentil soup. All you need are some aromatics, a few pantry staples, and about an hour. And the best part? 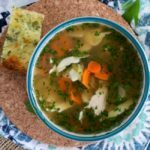 This recipe makes a huge pot of soup and freezes perfectly. Grab your biggest pot, sauté onions, carrots, celery, and garlic in olive oil, add in lentils, herbs, tomatoes, and broth. 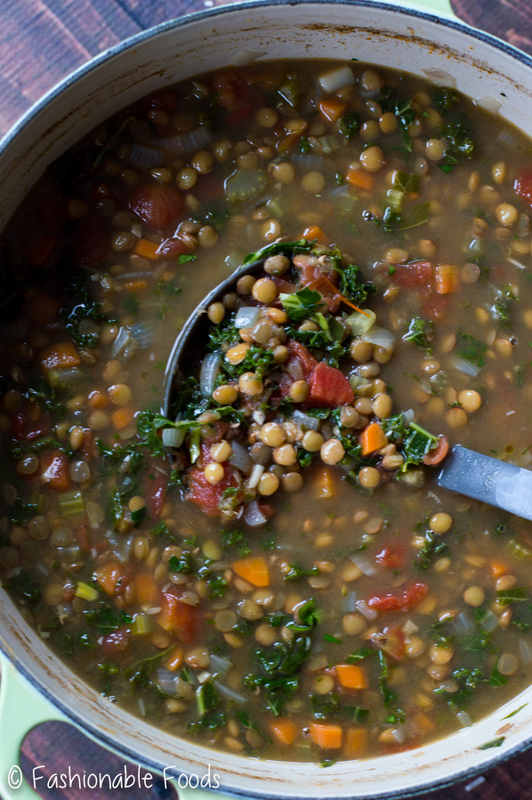 Let the soup simmer until the lentils are just about tender, then add in a few handfuls of kale and some pasta. Once the pasta cooks, you’re ready to enjoy this tasty soup. The garnishes are an absolute must. 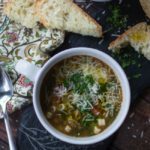 Lots of fresh parsley, freshly grated parmesan, and a healthy drizzle of extra-virgin olive oil make this soup. 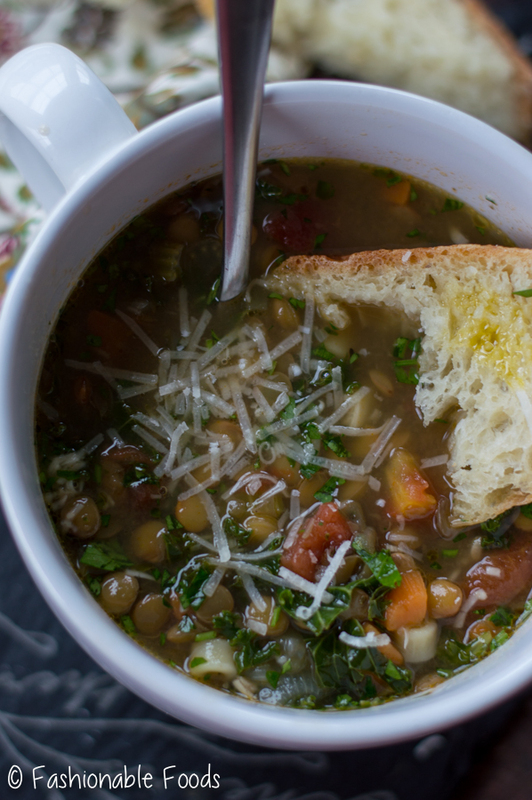 I also very highly recommend warm crusty bread… because what’s a bowl of soup without it? If you plan on freezing the soup (or even keeping it in the fridge for a few days), I recommend cooking the pasta separately and adding it to the cooled soup before portioning and freezing. This prevents the pasta from soaking up too much liquid and becoming mushy. Salt & Pepper are your friends. Season well along the way for the best tasting soup! Rinse your lentils! Lentils are a legume and can be dirty, so make sure and rinse them in a fine mesh colander before adding them to your soup. Don’t skip the garnishes! 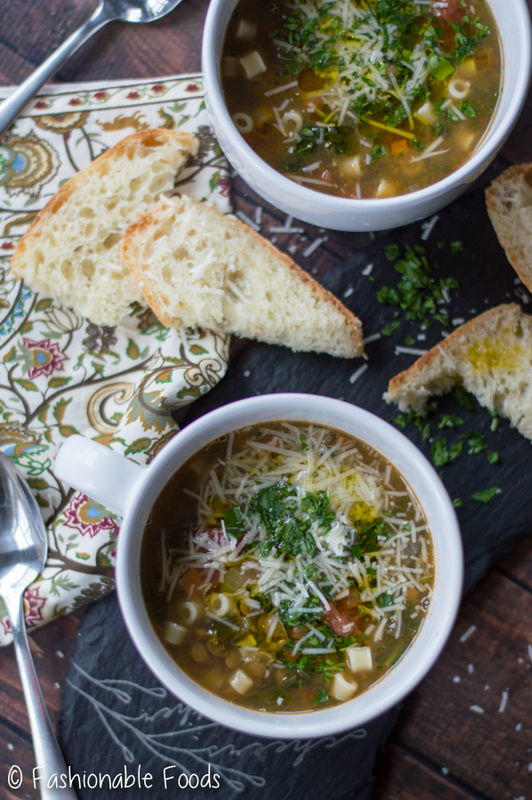 I really think the parsley, parmesan, and olive oil take the soup to the next level. And there you have my favorite and in my opinion, the best lentil soup! It’s simple, but hearty and really comforting. Not a winter goes by that I don’t make this soup at least once. It’s a staple in my freezer, too! 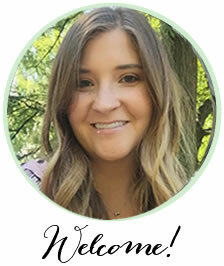 ¾ Cup Small Pasta, regular or gluten-free work! In a large soup pot, heat the olive oil over medium heat. 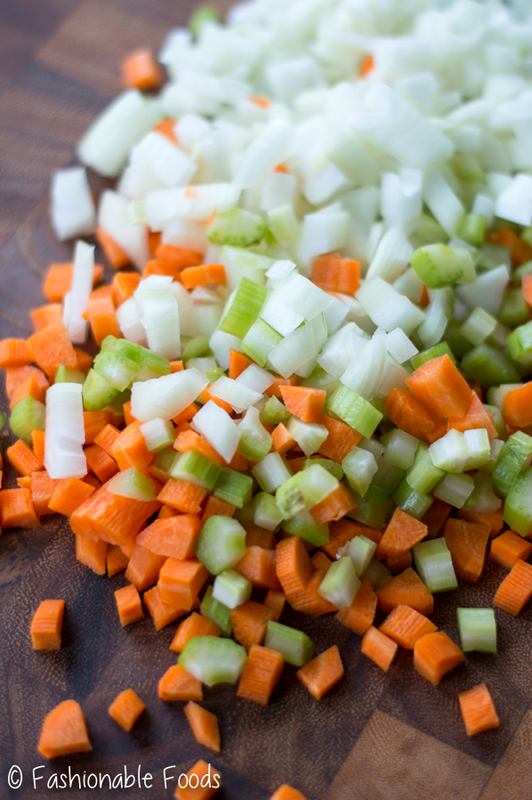 Add the onion, carrots, celery, and garlic and sauté until fragrant, about 3 minutes. Season well with salt and pepper and add in the thyme sprigs and lentils. Cook for about 2 minutes, stirring constantly. Pour in the tomatoes and chicken stock and then add in the bay leaf and season generously with salt and pepper. Give everything a good stir and then cover and bring the soup to a simmer. Cook the soup for 30-40 minutes, or until the lentils are just about tender. Add in the kale and pasta and cook for an additional 8-10 minutes or until the pasta is al dente. Taste the soup for seasoning and add additional salt and pepper if needed. 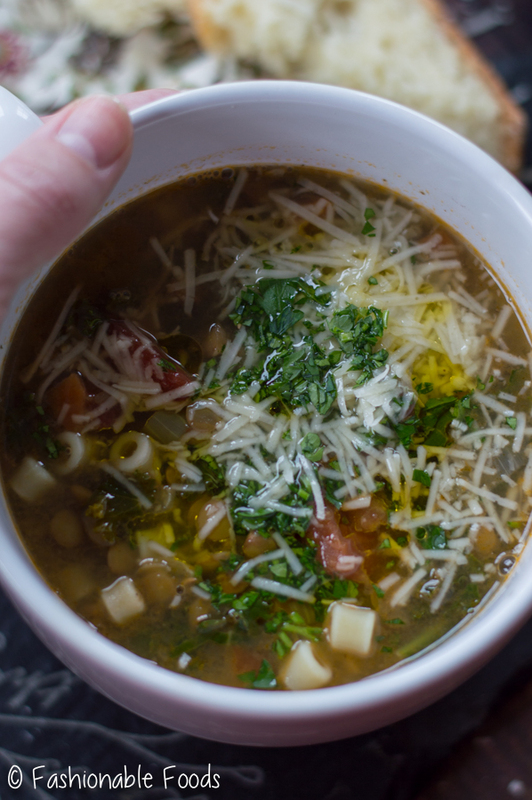 Ladle the soup into bowls and top with parsley, parmesan cheese, and a nice drizzle of olive oil.